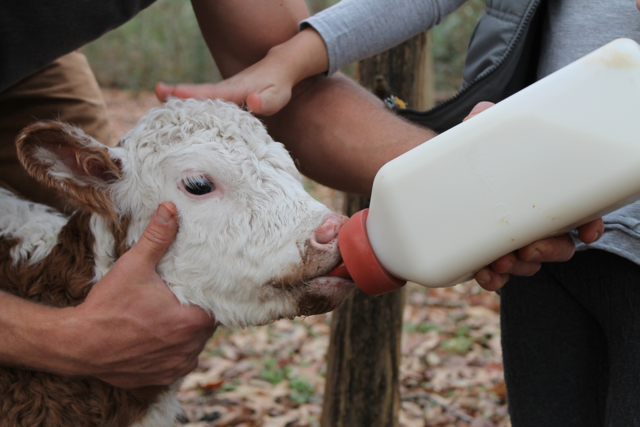 We recently had the job of playing mother cow to a newborn calf. Sometimes it’s hard to watch nature run it’s course. 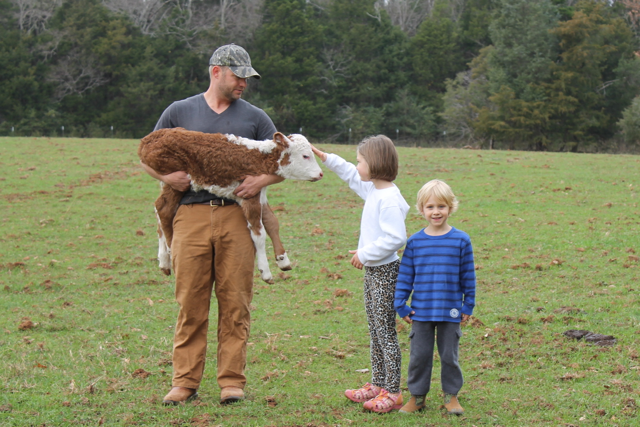 We aren’t sure why this calf wasn’t cared for by its mother – but stepping in and caring for it was a really neat experience for our children. 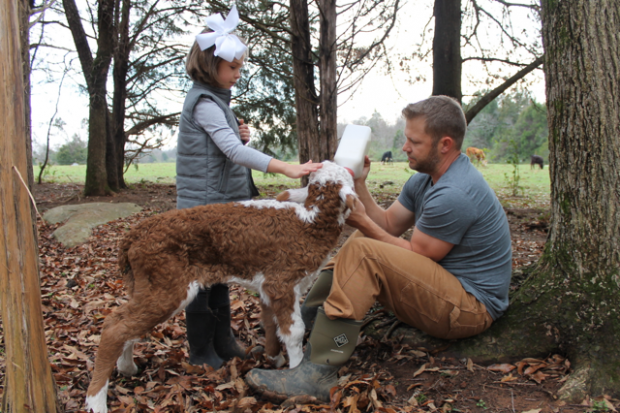 This is a post our daughter wrote about spending time with this little calf. You can read her first post here. 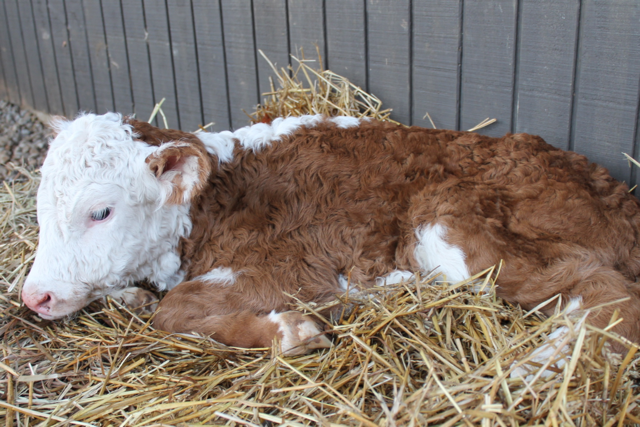 This week, we had two special calves born in our field. One was red and white and it was a girl. It had curly white hairs on its head. It had a pretty red neck. It had a cute little tail. I decided to name it Bright after Almonzo Wilder’s (from Little House and the Prairie) red and white calf and after myself. 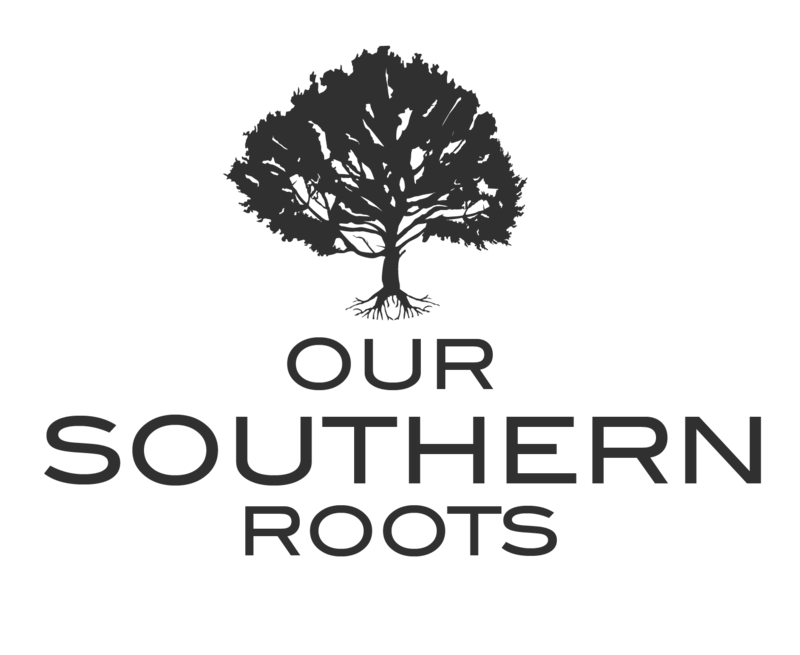 I love that series. The mother rejected her calf. It was very weak, all it did was sleep. The other calf was alive and healthy. 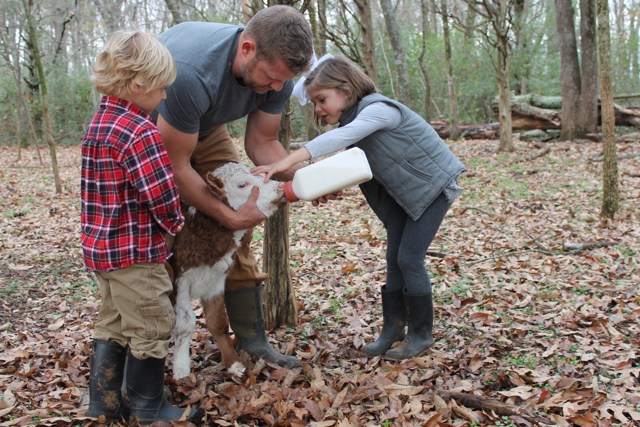 She let us touch her and let Daddy carry her. 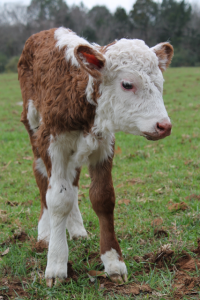 Some calves will run away. This calf loved us and stayed close and never ran away. We bonded. After a few days the mother still had not gone close. So Daddy went to the store and bought milk and a large calf bottle. We bottle fed it. At first it didn’t want the milk. But I talked to it and petted it and said it had to drink the milk. That worked for a while but it took too long for two bottles a day. Then it was getting colder and it was going to rain and it couldn’t stay in the pasture. We moved it to a small pen on the side of our barn. We put in straw for bedding and propped up the bottle so it could eat by itself. Then we put in some water for it to drink. It loved its new pen. It was fun being its mother, it was so fun. 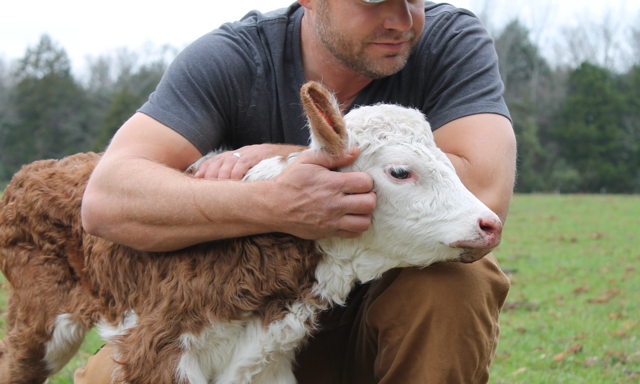 It’s not so often that you have a calf that won’t run away and that you bond. And it’s not so often that the mother let’s you get so close . 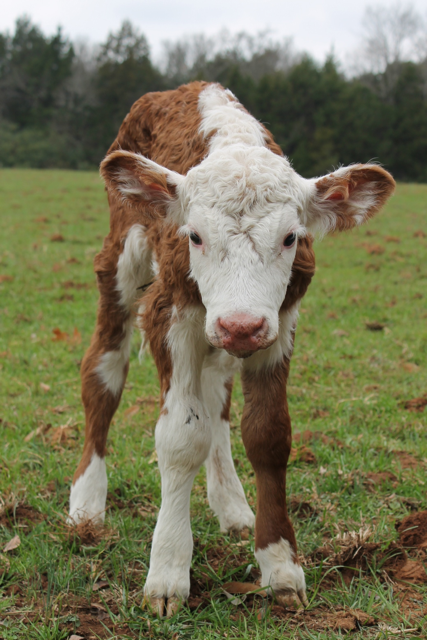 I’ll always remember this calf and the memories of its calf-hood. 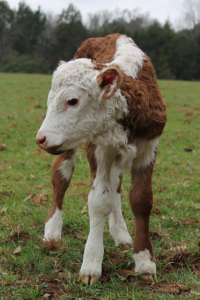 I loved that she wrote “calf-hood” too! What a great post – good job Bright!